Don’t bother making the joke. Everyone else is gonna make the joke. The headline already is the joke. 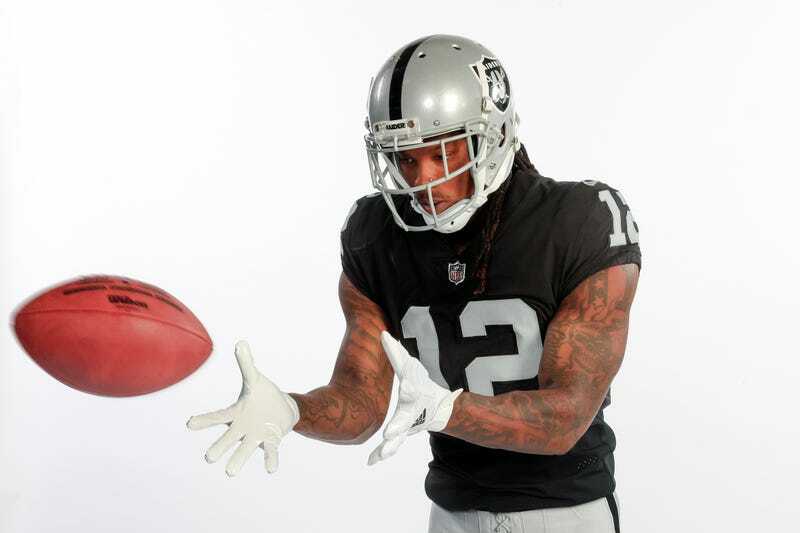 WR Martavis Bryant, who has started fewer games in his career (16) than he has been suspended for due to failed drug tests (20), is looking for a new start with the Raiders, who traded for him on draft night by sending a third-round pick to Pittsburgh. Bryant did not practice on Thursday, the final day of minicamp, and there’s maybe something ominous about that. The Raiders fear potential NFL discipline might be imminent for wide receiver Martavis Bryant, sources said Thursday, inciting internal uneasiness at the conclusion of an otherwise encouraging spring workout program. Multiple team officials declined comment as they left for a weekslong break before training camp, but they acknowledged the club is awaiting final word on the situation. It is believed to pertain to the NFL’s substance-abuse policy. The Raiders were taking a calculated risk with Bryant, but a third-round pick is certainly a real price to pay for an undeniably talented receiver who seems to have trouble staying on the field. If there’s a saving grace, it’s that Bryant is cheap: He’s still on his rookie contract despite having been drafted in 2014, because his contract tolled (rolled over another year) when he was suspended the entire 2016 season. Another silver lining: If he is suspended another full season, it would toll yet again and his free agency wouldn’t hit until 2020. On the other hand, he’s had enough hot piss tests that the next suspension could be for significantly longer than a year.